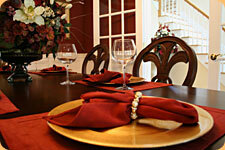 Forget the stress associated with planning a party, entertaining is easy with Taste. You'll be able to spend time with your guests while Chef Erica takes care of the rest. No party is too small! Contact us to learn more about creating a customized menu with memorable food for your next event.